Europe Israel Public Affairs is the only secular and non-partisan lobby group working at the heart of the EU Institutions. Its objective is connecting Europe and Israel. 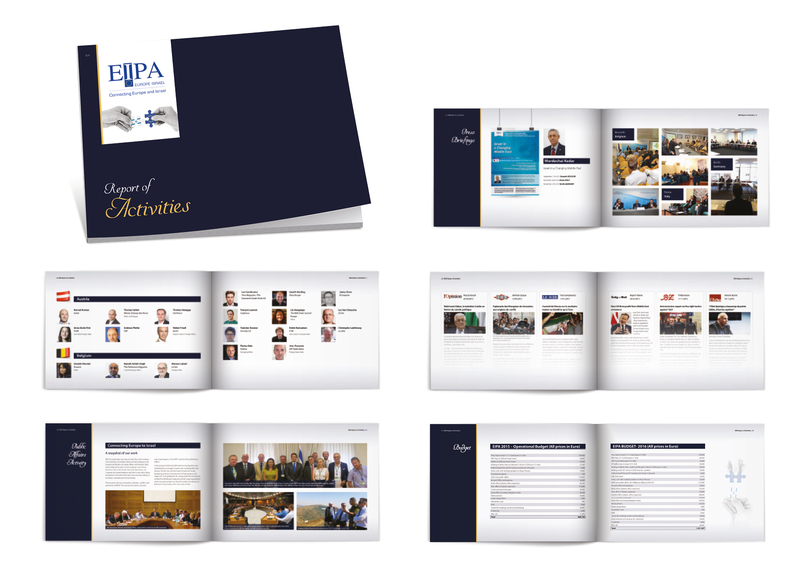 And i was responsable for their annual report design and layout. Writing an annual report for your organization can help your activities, your accomplishments during the past year, convince existing supporters that their funds are being well spent and help you raise money by attracting new donors, and serve as a historical record of your progress. So let’s do it together, you’ll be more than satisfied!